The McLean Foyer of Meditation, the most beautiful room in the Armstrong Browning Library, is a lovely setting for special-occasion portraits. Please be aware that photography is restricted to available light only. A signed Photography Permit must be received from your photographer at least one week prior to the scheduled portrait session. Instructions are included on the form. Sessions must be scheduled between the hours of 12:00 noon - 3:00 pm, Monday - Friday, for a period not to exceed two hours. Saturday sessions may also be scheduled from 11:00 am - 2:00 pm. This time includes dressing, photo shoot, and finishing up. The standard fee for a portrait session is $125.00. Should the portrait session last longer than two hours, a $50.00 penalty fee will be incurred for each additional hour or portion thereof. An extra room for makeup artists, hair stylists, etc. can be reserved for an additional fee of $25.00. The request for extra space should be made well in advance to ensure that there is no conflict with other scheduled activities. The Library accepts cash or checks. Checks should be made payable to "Armstrong Browning Library" and delivered to the first-floor reception desk attendant prior to the portrait session. The vestibules in the large public restrooms on the Library's first floor may be used to change into wedding dresses or other special attire. However, it must be stressed that these are public restrooms and should not be considered private dressing areas. The Armstrong Browning Library cannot be held responsible for any items left unattended during a portrait session. 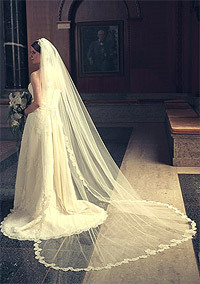 It is recommended that brides have someone accompany them to help with the wedding dress and to keep all items secure. The photo shoot normally takes place in the McLean Foyer of Meditation on the Library's Main Floor, unless other arrangements have been approved in advance. Furniture must not be moved without permission of an ABL staff member, and the staff member should be present in the room if any furniture is moved. Please note that the table in the center of the Foyer of Meditation cannot be moved. Only available light may be used. Flash pictures or camera lights are not allowed. Please do not place camera tripods, equipment, or other belongings on any of the furniture in the McLean Foyer of Meditation, including the table in the center of the room, ornate chairs, the velvet-cushioned benches, or piano. Posing photographic subjects atop the table or piano is not allowed.